Quick Setting Cement: For Underwater Concrete Structures! Ordinary Portland cement (OPC) is an important constituent for making concrete. Cement when reacts with water shows binding properties. When cement reacts with water, a paste is formed which must be placed in the formwork of desired dimensions. This paste is plastic in nature initially. However, as time goes, it sets and starts gaining strength. Usually, OPC has an initial setting time of 30 minutes to 45 minutes. In situations such as underwater concreting, OPC cannot be used in concreting; as it must set quickly, otherwise the cement paste will be distorted due to the force of running water. For such conditions, quick setting cement is used, while making concrete. Quick setting cement has less setting time as compared to OPC. Here we have given brief information on quick setting cement, its advantages and disadvantages, and its applications, which a site engineer must know. Quick setting cement also known as fast setting cement or rapid set cement has less initial and final setting time. It sets quickly so the cement paste can take the required shape rapidly. It has an initial setting time of 5 minutes and a final setting time of 30 minutes as against 30 minutes and 300 months for OPC respectively. Fast setting cement is manufactured by mixing aluminium sulphate during grinding of cement clinkers.Aluminium sulphate accelerates the setting time of cement. It acts as a catalyst for hydration of tricalcium silicate (C3S) and tricalcium aluminate (C3A).It also has a higher percentage of tetra calcium alumino ferrite (C4AF), which sets rapidly. Gypsum, which acts as a retarder, is added in less amount to accelerate the setting time. Quick setting cement is different from rapid hardening cement. In rapid hardening cement, although it has fast setting time, the rate of gain in strength is also high. In quick setting cement only setting time is less and the rate of gain in strength is not high. Due to its lesservalue of setting time as compared to OPC, fast setting cement can be used in under-water concreting, cold weather concreting, etc. 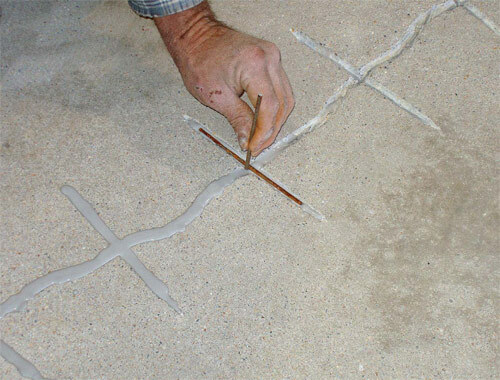 It can be used in concrete repair works without disturbing the structure. Although it has less setting time, the final strength attained is same as that of OPC. Quick setting cement has high resistance towards the water. The major disadvantage of quick setting cement is it should be placed quickly within its initial setting time. As soon as the concrete paste is prepared, it must be transported quickly otherwise, the paste will start setting. Sometimes, it is difficult to place concrete within 5 minutes. Due to the rapid setting, a large amount of heat of hydration of cement is emitted, which may lead to the formation of shrinkage cracks. Special care must be taken for dissipation of heat properly. As sulphate is present in fast setting cement, sulphate attack on reinforcement in concrete becomes more prominent. Hence, it cannot be used in reinforced concrete structures. It is expensive as compared to OPC. Quick setting cement is widely used in underwater concrete construction. It is typically used where a quick setting of concrete is required in a short time. Fast setting cement is also used in cold weather concreting, as the cold temperature retards the setting time of normal concrete. It is popularly used in repair works, repairing of cracks, concrete stairs, etc. while the structure is still in use. Quick setting cement is used for anchoring of bolts in tunnels. Although there are concrete admixtures available for decreasing the setting time of concrete, quick setting cement is more preferred. It provides controlled construction practice, while in case of admixture; the dosage to be added must be carefully calculated. Quick setting cement is not used under normal construction but in special conditions only.